Have you visited the Courthouse café yet? 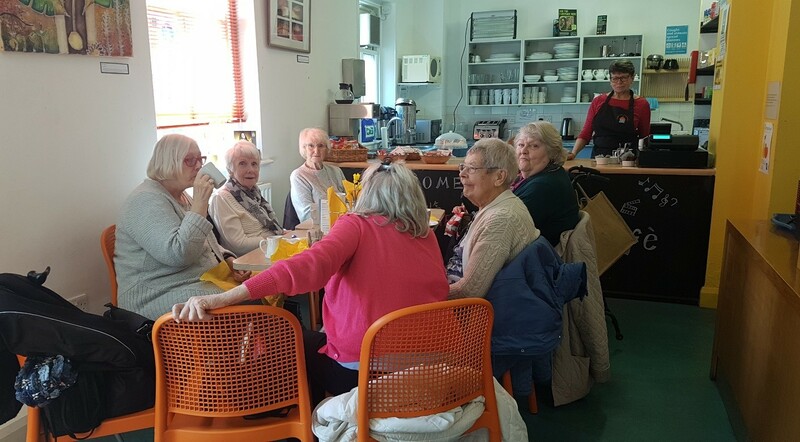 The café is open between 10am – 3pm Monday to Saturday and serves a range of sandwiches, toasties, cakes, ice cream and other snacks along with tea, coffee and cold drinks. There is also an opportunity to visit the café when you come to the Courthouse for an event. We’re sure that you’ll agree that we have successfully retained our competitive prices. The team of volunteers who run the cafe have been trained in Food Safety and Hygiene and we are also proud of our five star rating. The café forms part of the exhibition space used by local artists so whether you are on your own or want to meet up with friends, the Courthouse Café is a vibrant venue for a brief pit-stop where you can take a break. 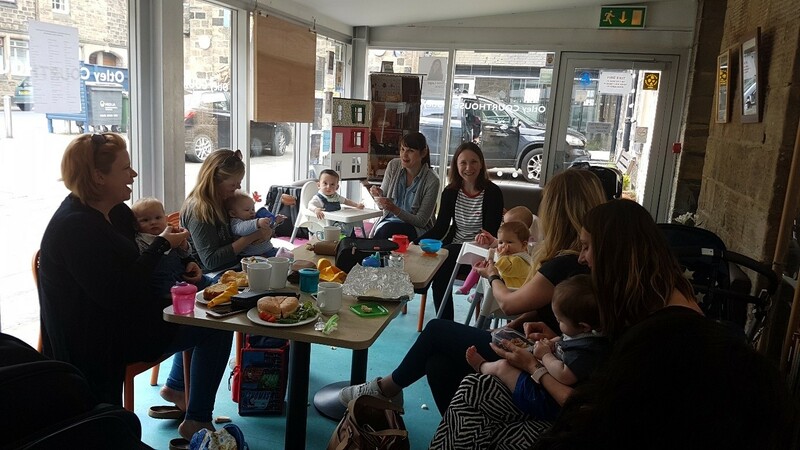 The entire café area can be accessed by those using wheelchairs or pushchairs and we are delighted that an increasing number of people attending daytime groups decide to stay on for a light snack or a quick cuppa. We have three highchairs available for our younger customers. All the money raised in the café is reinvested into the Courthouse and helps to keep it open so please pop in, say “Hello” and see what’s going on. Our well-stocked bar is open for the majority of evening events and features a wide range of bottled beers – principally from Ilkley Brewery – wines and spirits. Alternatively, why not treat yourself to Fizz for a Fiver!